Red Dead Redemption 2 will be partnering up with PlayStation to have exclusive items and 30-day privilege on certain items for the PS4. The pre-order bonus package for PS4 has been detailed thanks to a new video. We already knew what would come when pre-ordering the game, but know fans and consumers can see exactly how they look. The new video showcases the Grizzlies Outlaw Outfit, Red Chestnut Arabian Horse, Aligator Skin Ranch Saddle, and High Roller Double Action Revolver. With the game releasing this Friday, fans can get hyped for the highly anticipated title by checking out the latest launch trailer for the game. The trailer is relatively short, only clocking in at about a minute long, but it is certainly filled with content. First off viewers will get to see and hear (for the first time, in a long time) John Marston! We also get a look into the gangs inner turmoil alongside other difficulties they need to deal with. Check it out right here! 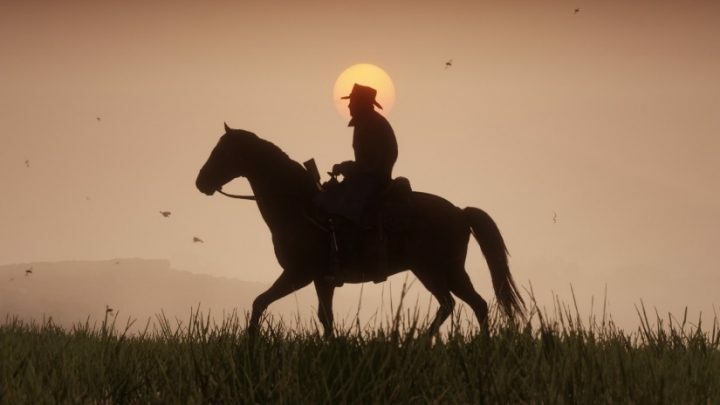 Red Dead Redemption 2 is set to release this Friday, October 26 for the PS4 and Xbox One. Are you excited to get your hands on the game? Let us know in the comments below!